March 26, 1888 – The formal opening of the North Chicago Street Railroad takes place with “speeches, music, enthusiasm, and a crowd, not to mention bunting, flags, and flowers.” [Chicago Daily Tribune, March 27, 1888] As early as 10:00 a.m. people begin to gather outside the power house at the corner of North Clark and Elm Streets. At 11:15 a.m. company president Charles Tyson Yerkes appears with dignitaries that include Mayor John Roche, who makes a few brief remarks. The band plays America and there are other speeches and more music before Yerkes finally rises to say, “I find that there is nothing left for me to talk on. The pervious speakers got hold of my notes and I am practically left out. I thank the people of the North Side for their patience in waiting for the fulfillment of the promises which are made. They now see the great work upon which we were so long engaged. I thank the city officials for the aid they have given us. I wish to thank the press for their uniform kindness. They have always been on our side.” After the band plays The Beautiful Blue Danube at 12:05 two thousand people rush the tracks, trying to get on the first car. At 1:05 p.m. the cars make it through the crowds and reach the entrance to the La Salle Street tunnel. Teams of horses are used to pull the cars over the crossing of tracks at Clark and Wells, and a horse pulling Car Number 186 is spooked by the crowd and dashes into it, throwing several onlookers into the mud and slush. 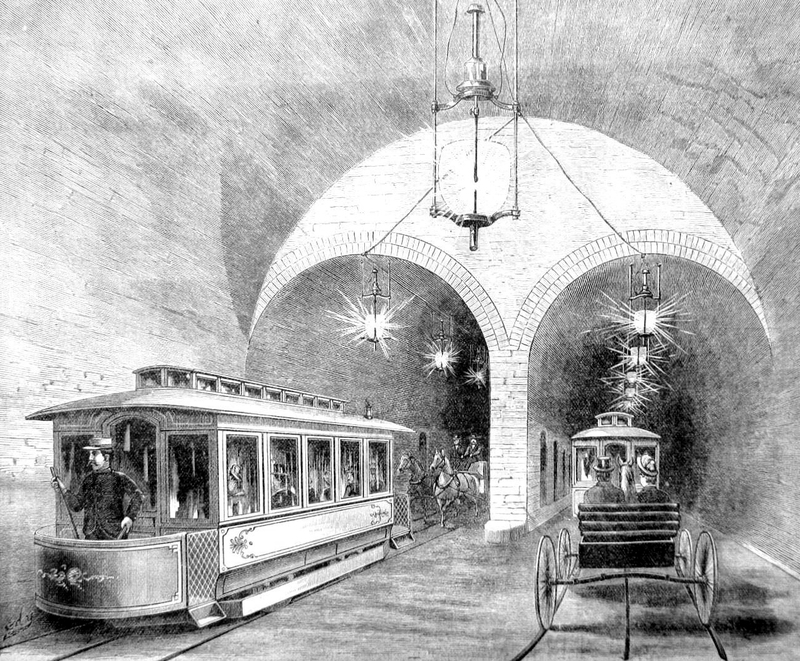 The first car to return passes out of the tunnel at 1:22 p.m., having made the tour of La Salle, Monroe and Dearborn streets in 17 minutes. The first serious problem occurs at 5:30 p.m. when an accident with the grip on one car at Wisconsin Street ties up the cars behind it for 45 minutes. March 26, 1867 -- Dwight Heald Perkins is born in Memphis, Tennessee. 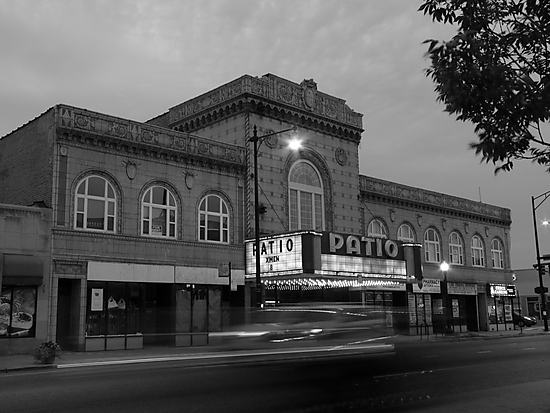 If a Chicago architect -- if an architect anywhere -- has been more forgotten by history, it is this guy. So skilled that he was asked to serve as an instructor at M.I.T. after only two years as a student, he returned to Chicago in 1888 and went to work with Burnham and Root in February of 1889. After the conclusion of the 1893 fair Daniel Burnham was forced to downsize the office and regretfully part with Perkins. But he gave him the commission to design the Steinway Building, a gesture that says much about both men. It was in Perkins's offices in the Steinway building that Frank Lloyd Wright came to work after parting with Louis Sullivan as did a number of other architects who came to prominence in the following decades. The Chicagoland area would be a far different place today if it were not for Perkins. He co-wrote the 1905 Metropolitan Parks Report, a document that began a campaign for planned open space, set aside from development, a report that preceded the great Chicago Plan of 1909 by four years. It was also in 1905 that he was named Chief Architect for the Chicago Board of Education, a post he occupied for five years. In those five years he designed 40 school buildings. 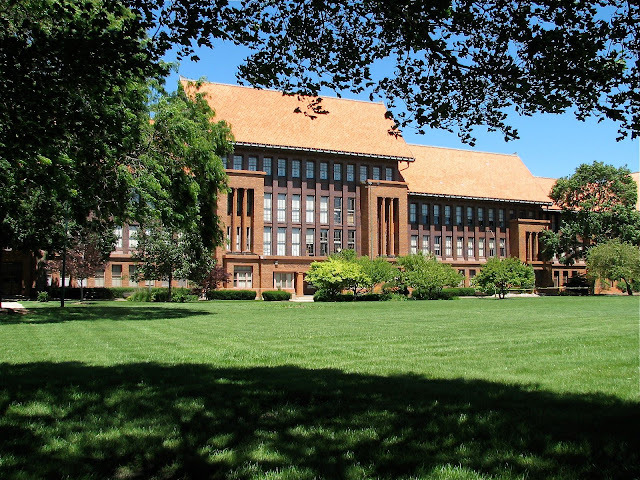 If in an entire career an architect could design one building as beautiful as Carl Schurz High School at Milwaukee and Addison, pictured above, he or she could end that career assured of having made an incalculable contribution.